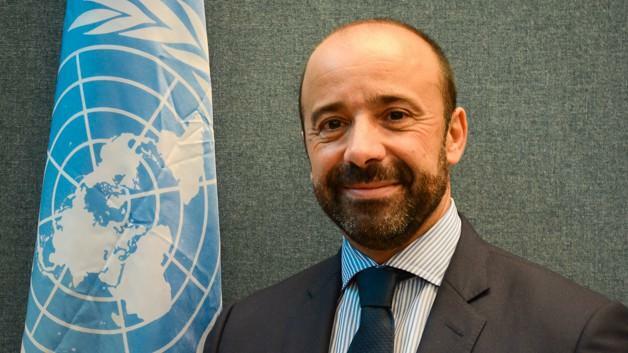 Miguel de Serpa Soares was appointed the Under-Secretary-General for Legal Affairs and United Nations Legal Counsel in September 2013. He oversees the Office of Legal Affairs, the overall objectives of which are to provide a unified central legal service for the United Nations. The Office of Legal Affairs employs approximately 200 staff of more than 60 nationalities. Mr. Serpa Soares has extensive experience of legal and international affairs, having represented his country in various bilateral and multilateral international forums, including the Sixth Committee of the United Nations General Assembly, the Committee of Public Law Legal Advisers of the Council of Europe and the International Criminal Court’s Assembly of State Parties. Before taking up his current position, Mr. Serpa Soares was Director General of the Department of Legal Affairs of the Ministry of Foreign Affairs of Portugal from 2008. Mr. Serpa Soares has also served as Member of the Permanent Court of Arbitration, The Hague since 2010. Earlier in his career, he acted as Legal Adviser to the Permanent Representation of Portugal to the European Union, Brussels (1999-2008). Born in Angola in 1967, Mr. Serpa Soares holds a degree (Licenciatura) in law from the Faculty of Law of the University of Lisbon (1990), where he also served as Assistant Lecturer from 1989 to 1993, and a Diplôme de Hautes Etudes Juridiques Européennes, Collège d’Europe, Bruges (1992). He is a member of the Portuguese Bar since 1993.